The Giver is out in theaters stirring up fans with the changes the filmmakers made to the book. Love it? Hate it? Depending on where you stand in this particular book vs movie debate, you may or may not find comfort and joy in this Sunday Slacker collection of video clips. 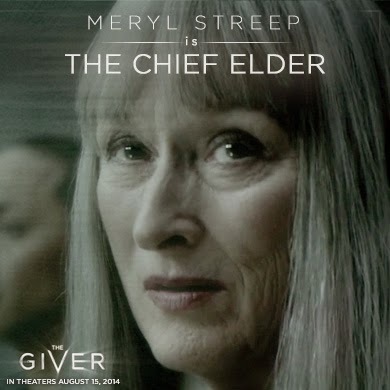 Don't miss the last clip, the one with the film's director Phillip Noyce [The Bone Collector, Patriot Games] and the author in which Lois Lowry talks about the expanded role of the Chief Elder played by Meryl Streep. Lowry actually says she wishes she could go back and put that expanded part in the book because it's brilliant! Are you with her or has the author been abducted by aliens?